When the album "Sweetheart of the Rodeo" by the Byrds came out in August of 1968...it marked a turning point not only for the band, but for the history of rock and country music. Why See Sweetheart of the Rodeo? To celebrate the pioneering album of the country rock genre 'Sweetheart of the Rodeo,' the Byrds co-founders, Roger McGuinn and Chris Hillman present a 50th Anniversary performance. The album was widely acclaimed for its spearheading of a new music genre. 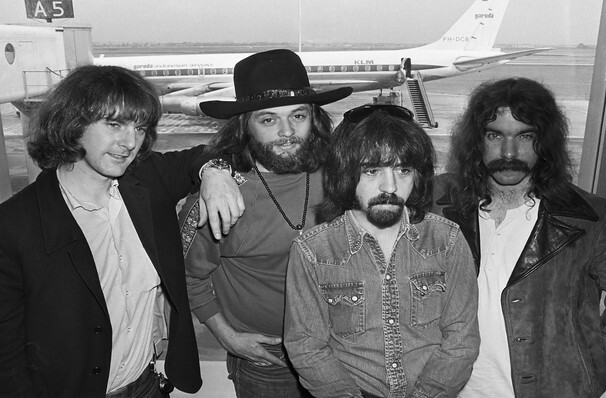 The Byrds formed in California in 1964, and enjoyed moderate success before the career defining release of their sixth studio album, which helped to form the genre of country rock; a move into alt-country and Americana. The album became a classic which held an influence over country rock music to come. 35 years after it was released, the album was ranked number 117 on Rolling Stone magazine's list of the 500 Greatest Albums. The concert will see Roger McGuinn and Chris Hillman joined by Marty Stuart and The Fabulous Superlatives to perform the whole innovative album in full. Seen Sweetheart of the Rodeo? Loved it? Hated it? Sound good to you? 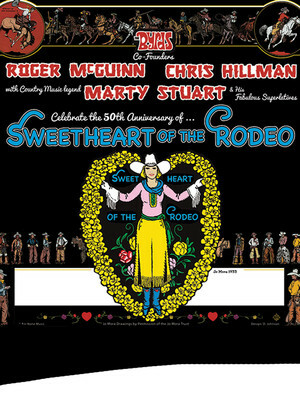 Share this page on social media and let your friends know about Sweetheart of the Rodeo at Majestic Theater. Please note: The term Majestic Theater and/or Sweetheart of the Rodeo as well as all associated graphics, logos, and/or other trademarks, tradenames or copyrights are the property of the Majestic Theater and/or Sweetheart of the Rodeo and are used herein for factual descriptive purposes only. We are in no way associated with or authorized by the Majestic Theater and/or Sweetheart of the Rodeo and neither that entity nor any of its affiliates have licensed or endorsed us to sell tickets, goods and or services in conjunction with their events.